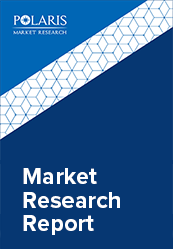 The global polybutadiene market was valued at USD 4.9 billion in 2017 and is anticipated to grow at a CAGR of 5.7% from 2018 to 2026. Polybutadiene is a synthetic rubber produced by the polymerization of 1,3-butadiene. It has three bonding structures in the micro structure, 1,4-cis, 1,4-trans and 1,2-vinyl. Polybutadiene is categorized into high cis BR (HBR) and Low cis BR (LBR), on the basis of its 1,4-cis content. High cis BR are products with their 1,4-cis content of more than 94%, and offer high abrasion resistance, repulsive elasticity, aging resistance and water resistance. The increasing applications of polybutadiene primarily drive the growth of the polybutadiene market. Polybutadiene is primarily used in the production of automotive tires. The growth in the automotive industry, and increase in motor vehicle production boosts the polybutadiene market growth. Rapid industrialization, growing demand for luxury vehicles, and modernization of industrial machinery also fuels the growth of the market. Other factors driving the market include increase in demand for polystyrene and ABS in production of consumer goods, and rising demand for industrial rubber. However, increasing environment regulations, and growing health concerns are expected to hinder the growth of the polybutadiene market. Growing demand from emerging economies, and increasing adoption of eco-friendly tires is expected to provide numerous growth opportunities in the coming years. The global polybutadiene market is segmented on the basis of type, end-user, and region. Based on type, the market is segmented into Solid Polybutadiene Rubber, and Liquid Polybutadiene Rubber. The Solid Polybutadiene Rubber segment dominated the global market in 2017 owing to the increasing demand from tire manufacturing. The growing production of motor vehicles, and increasing demand for luxury vehicles drives the growth of this segment. The end-user segment is categorized into Automotive, Chemical, Industrial, and others. He automotive segment accounted for the highest share in the global market in 2017 owing to increasing modernization of vehicles, and growing trend of enhanced driving experience. Regionally, the polybutadiene market is segmented across North America, Europe, Asia-Pacific, Latin America, and MEA. North America is further segmented into U.S., Canada, and Mexico. Europe is divided into Germany, UK, Italy, France, and Rest of Europe. Asia-Pacific is bifurcated into China, India, Japan, and Rest of Asia-Pacific. Asia-Pacific accounted for the largest share in the global Polybutadiene market in 2017 owing to increasing demand for tire manufacturing, and growing production of motor vehicles. The leading players in the polybutadiene market include China Petroleum & Chemical Corporation, JSR Corporation, Reliance Industries Limited, Lanxess AG, Kumho Petrochemical Co. Ltd., The Goodyear Tire & Rubber Company, UBE Industries, Ltd., Synthos S.A., Evonik Industries, and LyondelBasell Industries NV among others. The leading players in the market are introducing new innovative products in the market to cater to the consumers. Global players are entering new markets in developing regions to expand their customer base and strengthen market presence.